If you’re left-handed yourself then obviously there’s not much you need to know about this, but given the majority of people are right-handed (90 percent!) if you do find yourself with a child that’s a lefty and you’re a bit clueless as to how it affects them, then you might want to read on. For starters, are you actually sure they’re a lefty? It’s pretty common for babies to lead with both hands initially while they work out which one is more dominant. By 18 months, however, they should start preferring one hand over the other for things like eating and drawing, and by the time they’re three that’s when you’ll know for sure. We’re living in a right-hand world which means that most items are not designed to suit lefties. While most of the time it doesn’t matter so much, the worst offenders are things like scissors, cameras and computer mouses. You can actually buy left-handed scissors and other stationery items to make it easier for them. However, you may find that your lefty prefers to train themselves to use their right hand for these activities instead. Unfortunately, handwriting is one area that can be quite difficult, particularly in the early years when kids are still learning. In the western world, we write from left to right, which for lefties means that their hand is covering what they’re writing which can make it harder for them – and also super smudgy. And how we’re taught to write letters even, such as forming the letter ‘S’ from the top downwards, and crossing the letter ‘T’ from left to right – is simply because it stops right-handed people from smudging their work (no wonder they used to make lefties use their right hands!). So feel free to let your lefty form their letters a little differently and move their paper around as they write or draw if it helps them. When you’re laying the table for dinner you might also want to consider switching the knife and fork around for your lefty. Again, it’s something that’s of personal preference for them though as not all left-handed people cut with their left hand, so just ask your child which is easiest for them and help them get the hang of it properly. What stance or lead you take in sporting activities also has a lot to do with whether you’re right or left-handed. For example, many lefties kick balls with their left foot and throw with their left hand, which can make sports initially a bit confusing if they’re comparing themselves to other players (who will be mostly right-handed). However, not all lefties lead with their left feet and hands, many still use the right if that’s how they’ve been taught, and some might even do both. Lefties may also stand “goofy” on surfboards and skateboards, but if they do they won’t be so alone as there are many right-handed people who do this too. When it comes to sports just let your little one try out both sides and see which feels more natural for them. If your family is quite musical then you might need to restring any guitars you own as most lefties strum the guitar with their left hand which means the strings are in reverse order and need to be changed. Drums are another instrument where you need to change the set up to suit a lefty, positioning the snare, kick drum, etc. on opposite sides. At least it’s just an easy adjustment though, and let’s face it, fingers crossed there will be no drums in your house anyway! 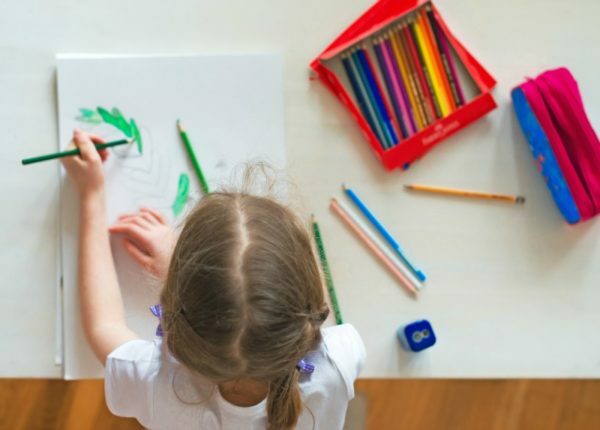 The main thing with left-handed children is that they feel completely comfortable with the fact they’re in the ten percent and are never made to feel inadequate because of it. They should also never be forced to use their right-hand for something when it doesn’t feel natural to them and makes it harder, so if you know your child is a lefty be sure to tell any childcare educators, teachers and coaches so they get the support they need. Do you have a little lefty at home? What things have you had to help them with? Tell us on Facebook!